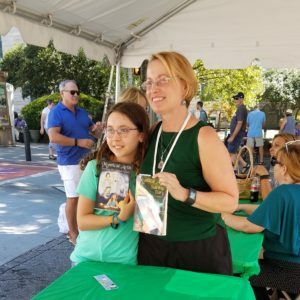 Lydia (left and below) bought both Mystical Aria books at the Decatur Book Festival. 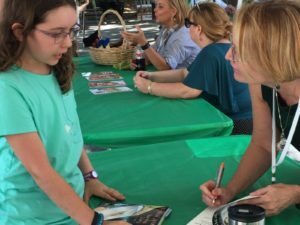 Her mother said Lydia had her nose in the first book all day. 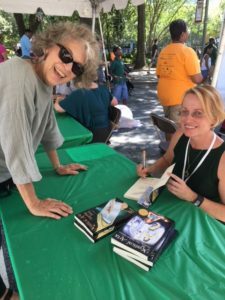 Both Mystical Aria novels were featured at the Emerging Writer’s Tent of the Decatur Book Festival. 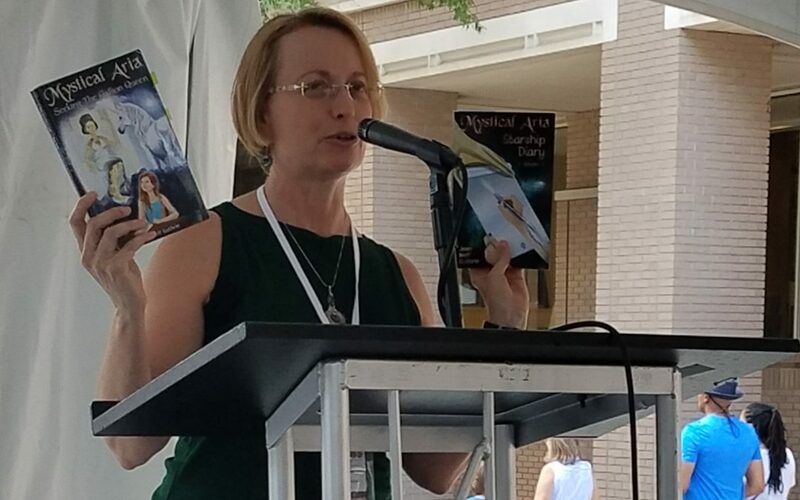 Award-winning author, Jean Neff Guthrie, describes the story of Aria connecting with alien queen (Decatur Book Festival). 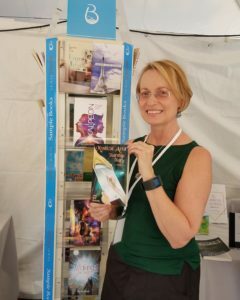 BookLogix, publisher of Mysical Aria: Starship Diary, promotes the novel at its tent (Decatur Book Festival). 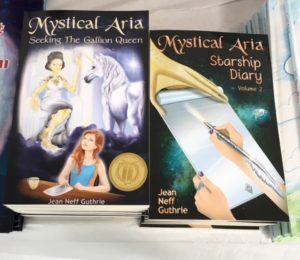 Readers young and young-at-heart bought Mystical Aria books. 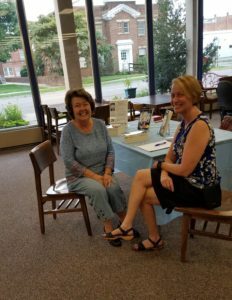 Marcia Partin, of Decatur, with author. 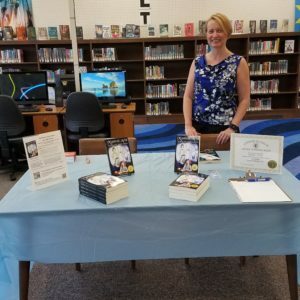 Book signing at the Pulaski County Library in Pulaski, Virginia, on August 18, 2018. Hometown library for the author. 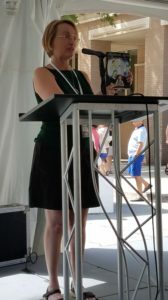 (Right) Author with neighbor and local historian, Mary Catherine Stout. 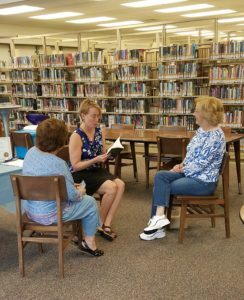 Reading first chapter of Mystical Aria sequel to Mary Catherine Stout (L) and retired English teacher, Brenda Waller (R).